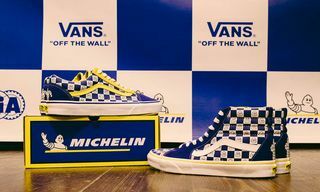 In what is their third exclusive release of the week — behind Gosha Rubchinskiy and Anti Social Social Club — Dover Street Market has joined with Vans for a checked sneaker collaboration. 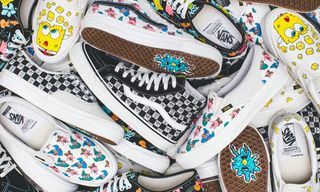 The Sk8-Hi x Old Skool collab originally launched back in March of this year. 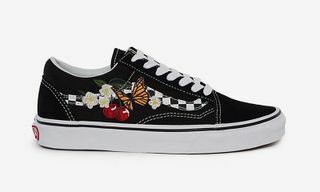 Again, the return capsule consists of the Sk8-Hi and Old Skool, each boasting a checkerboard motif throughout the upper. Black suede has then been paired at the toe and heel, while white Sidestripe branding is present alongside. 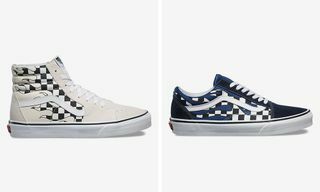 Look for the Dover Street Market x Vans re-release to take place on December 1 exclusively at DSM.